We specialize in large item packing, specialty crating, heavy equipment’s and shipping services. We save you time by packaging or crating your items, then making sure they get to their destination. We can handle any size, any weight, any shape with expertise, efficiency, and security. With our customized large-item packing services and preferred network of specialized carriers, we can ensure the safety and timely delivery of your shipments. We consider the item’s fragility, composition, and value to determine the best packing methods. We arrange export packing choosing the most economical and safest methods such as skidding, crating, palletizing and shrink-wrapping. We use prefabricated boxes, design and build one-of-a-kind wood crates and corrugated fiberboard containers. The appropriate packing materials are used to ensure adequate protection during transportation. 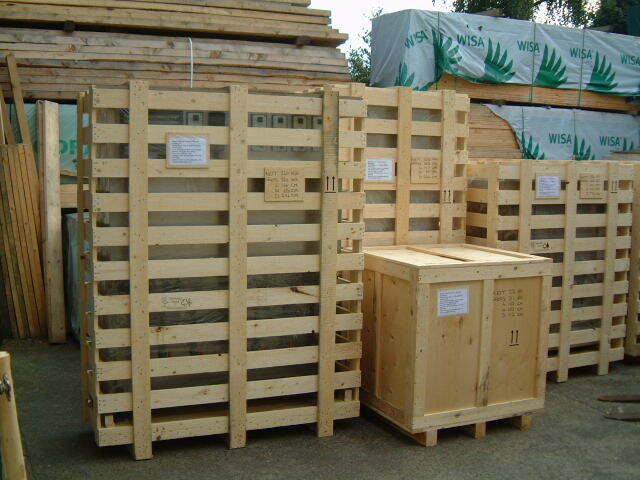 Our custom shipping experts also secure shipments with pallets or skids to provide additional stability and handling.